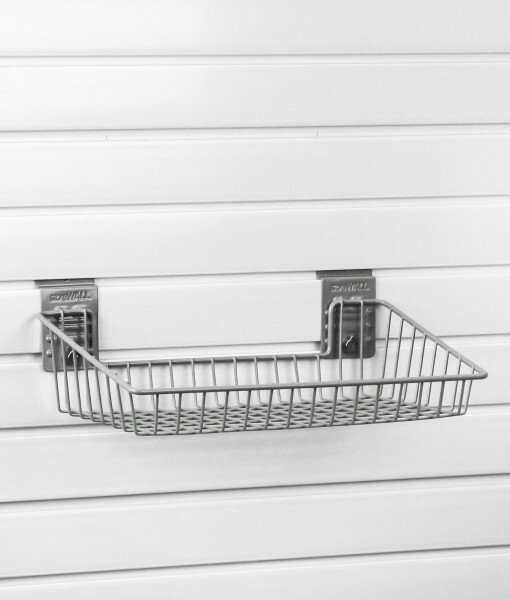 The StoreWALL Small Angle Basket is expertly designed for a variety of uses. 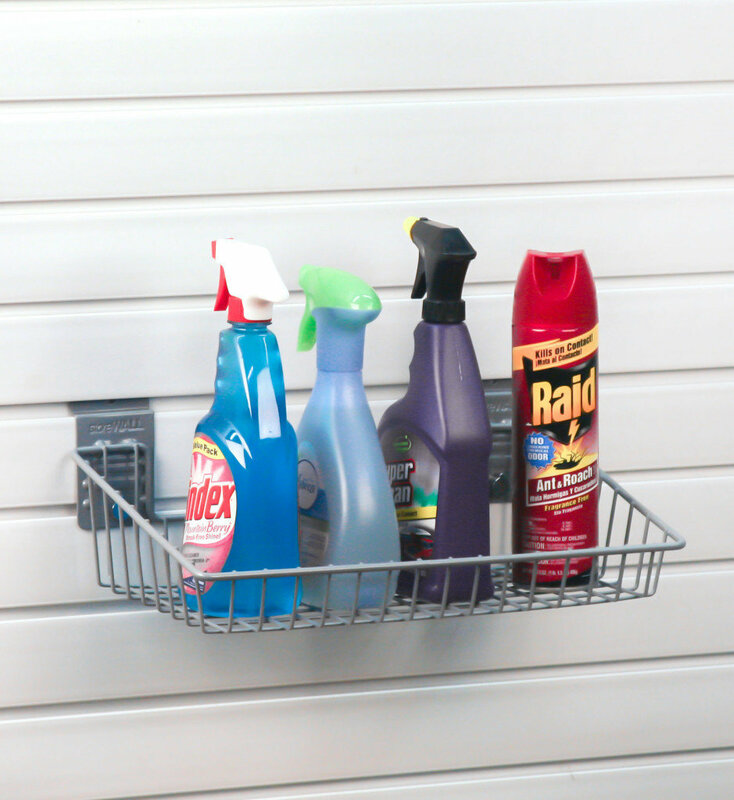 It can hold items such as cleaning and pest management supplies safely off the floor. Helps keep your garage, pantry or basement in order. Please review our great range of pegboard mesh baskets made from steal and powder coated for added protection.